Two days into the spring semester and I've forgotten to make goals! This list is separate from the 2015 To Do List, but those 40 things are constant goals throughout the year. I'm already almost halfway through college, so I figured I might as well enjoy myself in Cleveland while I'm still here and enjoy university life! I only have two "in person" classes, so I hope that this goes well. Students attend games for free and our team plays in the Wolstein Center a few blocks from campus. They're easy to attend, it's just not see easy getting myself out into the cold and away from homework for a couple of hours. On the weekends, being cooped up in my dorm is so boring. When it's nicer out, I always go to the water, no matter what. And then when it gets cold out again, I won't venture down that far. I might make it to Starbucks if I'm feeling up to it. However, in the transition between winter and spring when it gets bearable to be outside for long periods of time, I'm going to march myself on over to the public library downtown just to do it. We have clubs on campus that put on events and I normally never go to them. I figure that they work hard enough to put them on, so I should at least show support for one of them, right? Obviously, my goal is to work hard to receive As in classes, but I'm not going to sweat a B (and will try desperately not to sweat a C if it happens). It'd be nice to stay on Dean's List, I think that's my main goal. 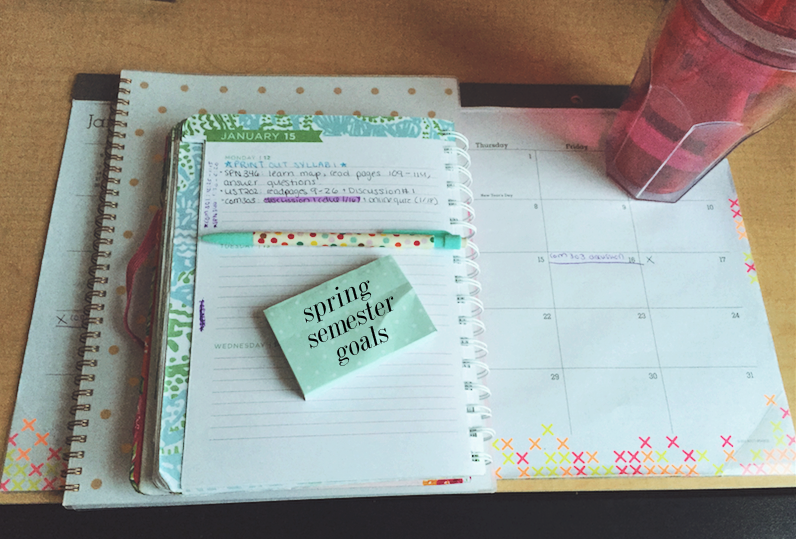 What are your goals for spring semester?